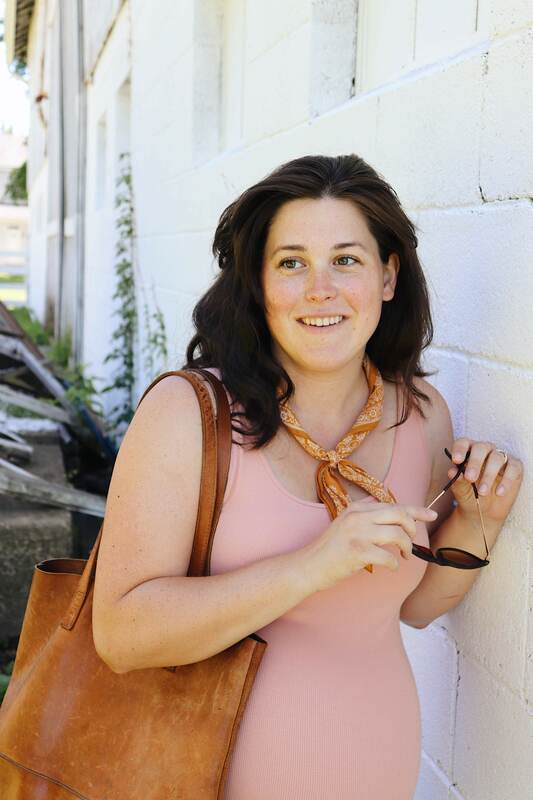 As a whole, I’ve gravitated away from creating seasonal capsules and focused instead on cultivating a simple, intentional year-round wardrobe for the past couple of years. That said, I recognize that a seasonal capsule wardrobe seems to serve me well during periods of great change: pregnancy, postpartum, etc. 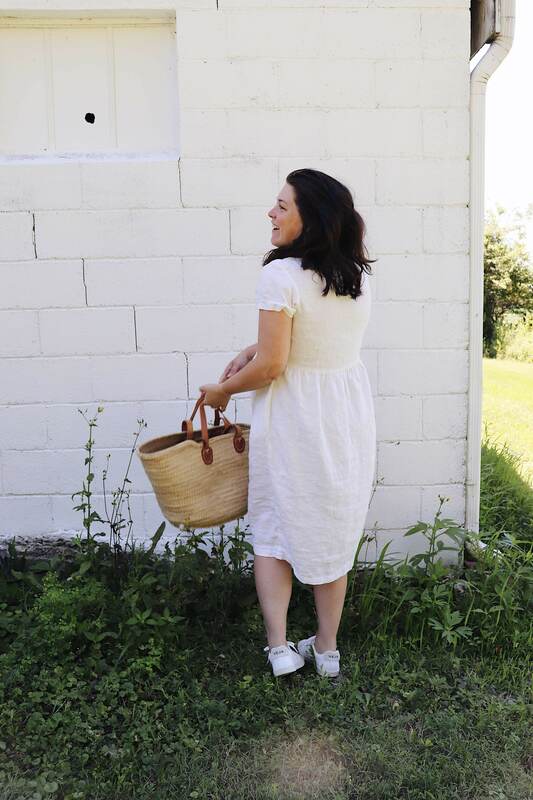 My mind, sense of contentedness and budget all benefit from fragmenting and re-framing time into a short three month chunk (or some other designated time frame) — so at the onset of my third trimester of pregnancy I set out to create a concrete capsule wardrobe to see me through the remainder of my pregnancy. I have not created a true ‘capsule wardrobe’ in two years. 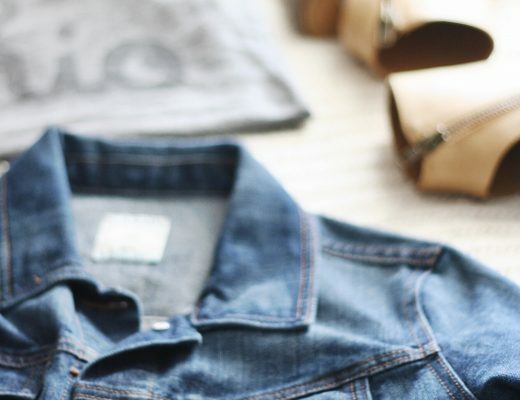 In the past, a capsule wardrobe has provided me with the structure I needed to curate a well thought-out closet and served as an invaluable tool in helping me refine and own my sense of style. Collectively I used what I’ve learned over the last several years about capsule wardrobe creation in conjunction with my increasing fascination of color theory as well as the observation + definition of color palettes to curate today’s post. Ready? Be sure and grab some coffee for this one — she’s a doozy! 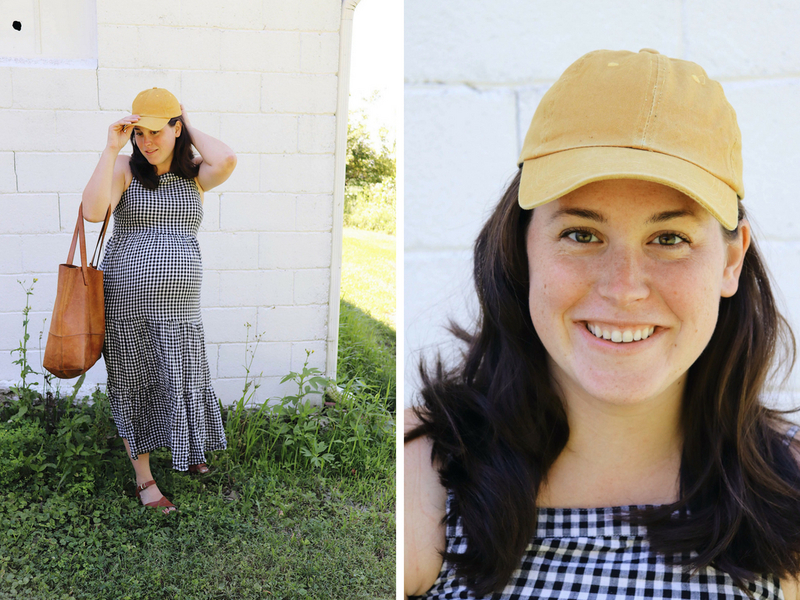 Step one: Mix and match maternity and non-maternity pieces. I realize I’m not being revolutionary here. Any run of the mill maternity fashion piece you will read will tell you to do the same thing — but I think the secret here is to plan for this. As in don’t just buy maternity pieces and buy non-maternity pieces and figure out how they go together after the fact. Sure, sometimes you’ll be successful in doing that, but largely it takes a little more forethought to make this mixing and matching process really work. 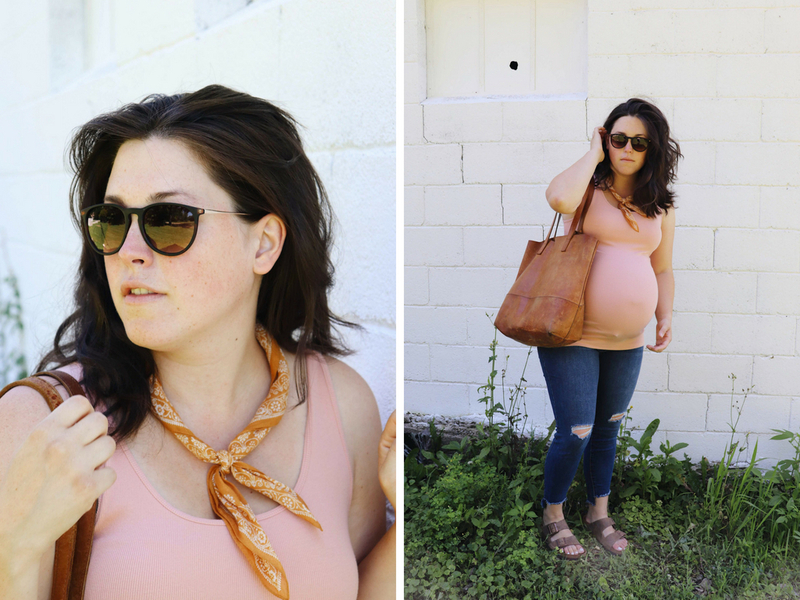 I have found, personally, that true maternity tops and maternity bottoms work best for me. I grow a very large belly throughout pregnancy and, eventually, even maternity tops threaten to not cover my ever-growing bump. 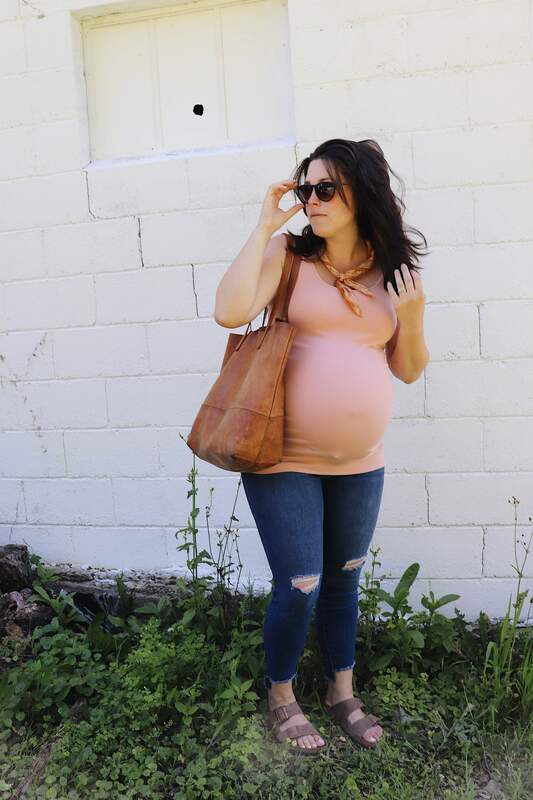 I made it until the 37/38 week mark during my first pregnancy before I ‘broke down’ and bough maternity pants and I remember wanting to smack myself for ever holding out — they are just so comfortable and practical. I have found dresses and weather appropriate layering pieces to be areas I can practically add non-maternity pieces to my maternity wardrobe. Sticking to swingy shift or high-waisted (empire) dress styles has proven successful for me. 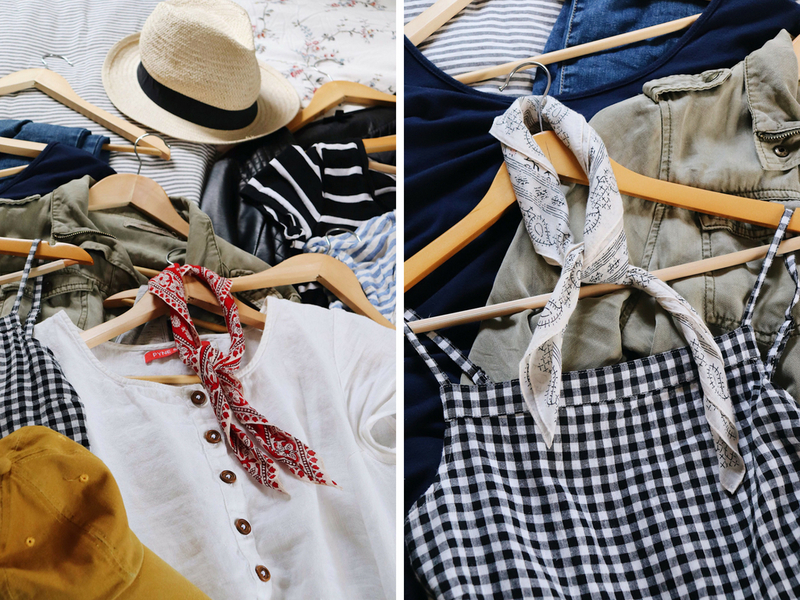 Step two: When picking maternity pieces — pick super versatile, neutral and staple pieces. There are plenty out there to choose from, maybe even too many. But there are also plenty of special occasion or just too particular of pieces out there as well. I made the mistake of buying a couple of these for everyday wear during my first pregnancy. I am happy to say I did not make that mistake again during this pregnancy. Tunics like this and dresses like this are a must for me. They are great pieces for layering, neutral in color, and could be considered staples in any regular wardrobe. It is also worth noting that these pieces are where you may want to invest a little more money into — considering how often they will be worn, you want them to be able to take a beating! Step three: When picking non-maternity pieces — pick appropriate layering options and pieces that allow for growth. All this can obviously be tricky, but sweaters and button downs are my go-to for here. Boyfriend length sweaters and drape cardigans are perfect because they work to elongate the frame and are still really versatile during colder weather months — whether paring them with leggings, jeans or dresses. Button downs, similarly, can take on many forms whether buttoned, unbuttoned or knotted below the bump. For warmer weather months I have learned that adding layers is much trickier, but have still found lightweight jackets to work of some of the cooler days. Step four: Have fun with shoes. Step five: Balance basic solids with pattern and texture. While you may wish to keep your maternity pieces to basic neutrals like: charcoals, creams, tans or nudes remember to add some depth, pattern and texture to your wardrobe. 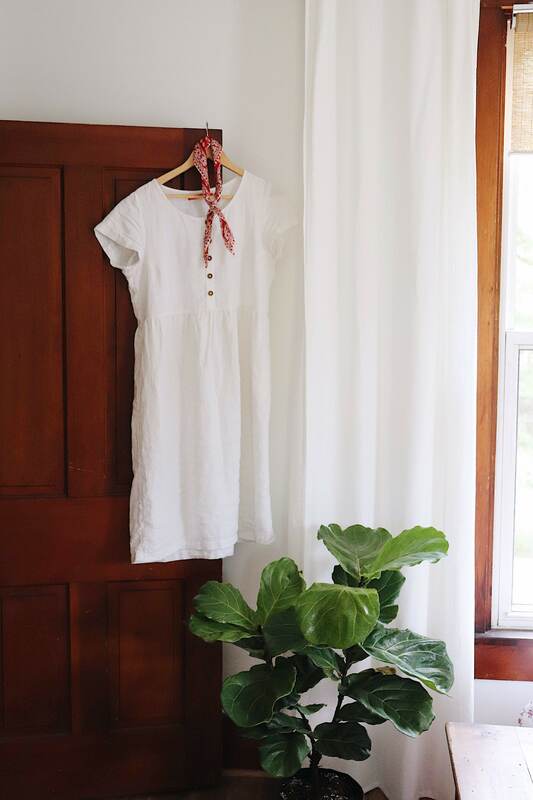 Pieces like: a leather jacket, a linen (vs. cotton) button down, a textured sweater, gingham sundress, striped linen dress and/or other pieces of color will add variety and allow to you remix your wardrobe to your heart’s content. So you’re all like, bored with my clothes? Say whaaat? I used the Stylebook app (for Android users check out Stylicious) to visually edit and curate this season’s capsule. To begin creating a new capsule I start by viewing my ‘Current Capsule’ folder. I start by moving all obviously off season pieces out of the ‘Current Capsule’ folder into the ‘In Storage’ folder. 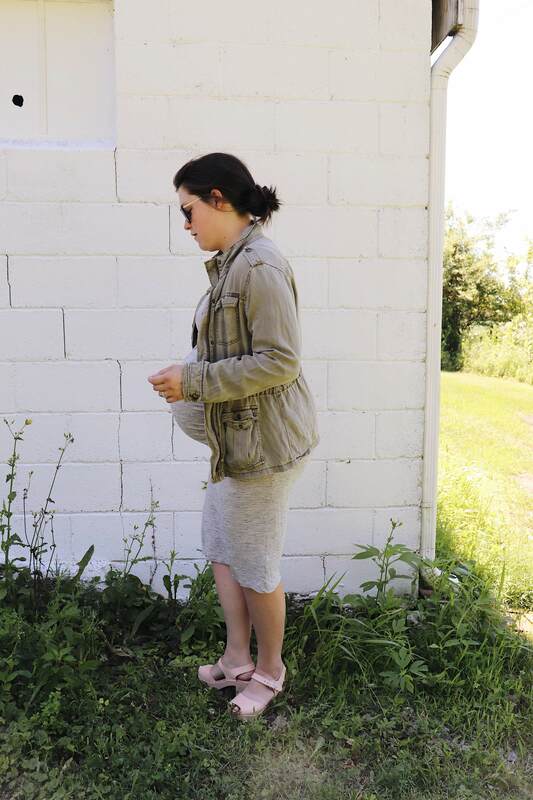 For example, when creating this maternity capsule I began by removing all pieces I knew I would not be wearing during my third trimester from the ‘Current Capsule’ folder and into the ‘In Storage’ folder. 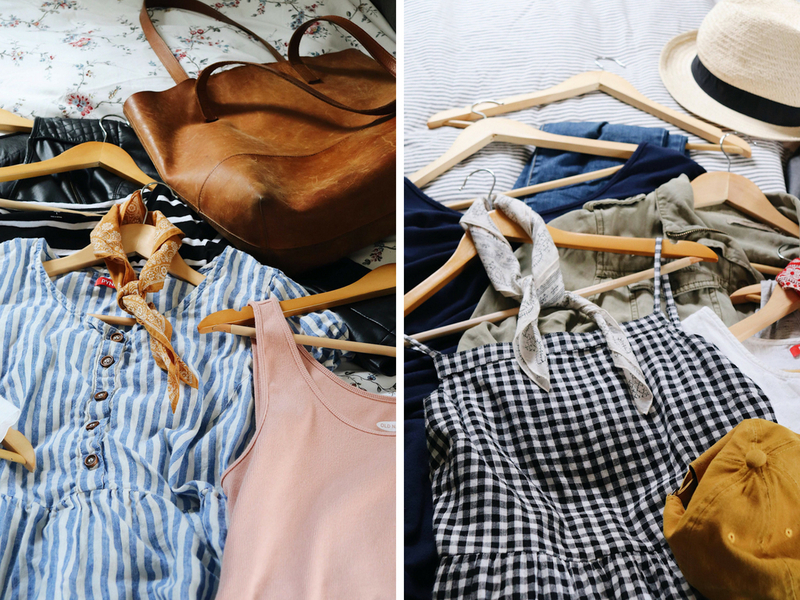 I like editing my overall closet this way because you can see everything at once and it allows you to assess the overall aesthetic of your wardrobe. It provides the opportunity to be able to answer questions like: Is it cohesive? Are there any glaring gaps? Redundancies? Does the vibe fit your core style? Next up, before planning out what I wanted to add to this capsule, I assessed: lifestyle, special events and, of course, the weather. I work from home now and the only special event on my calendar this summer was an intimate baby ‘sprinkle’ with my closest family and friends so truly that left only the weather to contend with. 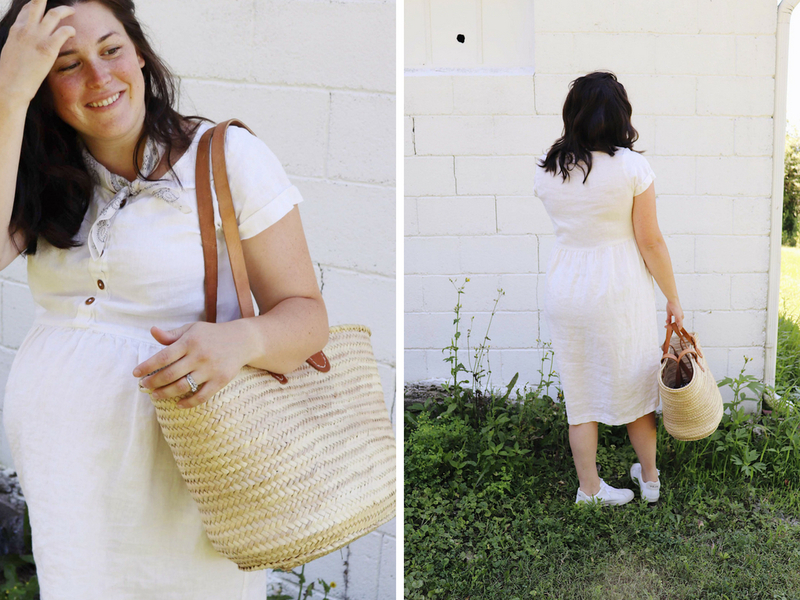 I knew I’d need some shorts, tees and tank tops to keep cool in the Midwest summer heat + humidity — but also really wanted to add a few comfortable + casual dresses that could hopefully see me even beyond pregnancy! I decided to do a little word association exercise previous to completing this maternity capsule as well. I was first introduced to this idea (in this format) by Caroline’s wardrobe planner. It definitely pushed me to really think about how I describe my style and to reach past your typical “classic”, “modern”, “sporty” or “bohemian” descriptors. 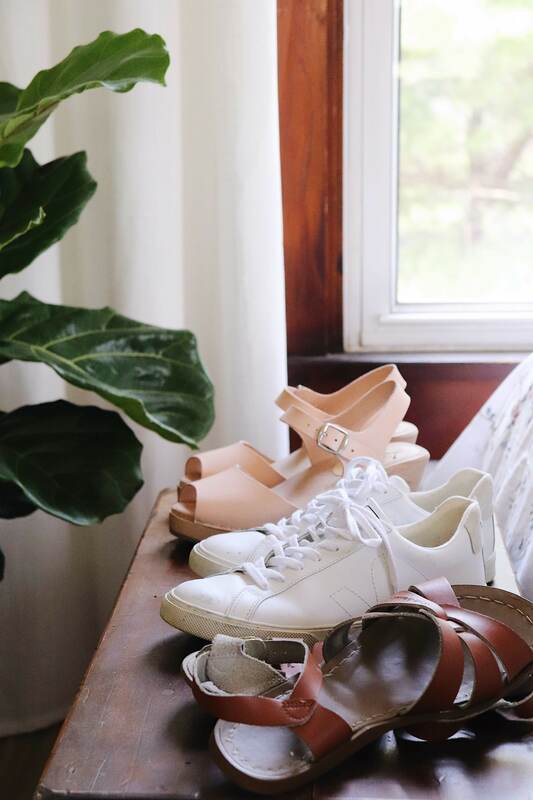 Among my top picks remain: effortless, casual, feminine, simple, comfortable, balanced and imperfect. Ready to see the capsule I pulled together? Take a peek at it below! I haven’t defined an over-arching summer color palette, but I do have a few favorite go-to mini color palettes (that I believe together exist in harmony) I have observed. I’ve been fascinated by color theory ever since I took a class while completing my design minor in college — and that sense of wonder has only deepened over time. I’ve never truly collected my thoughts on the matter, however I’ve enjoyed insights others have had to offer on the topic over time. If you too are intrigued by color study, be sure to check out: Caroline’s thoughts in a recent blog post of hers, this post by Anuschka Rees, this great resource by Vetta, as well as this tool by Cladwell. One of the first notable color palette observations I made was of my own tendency to pair denim and cognac. Once I really began to ask myself why I loved this combination so much and why it worked so well, the answer was really quite simple: they complement each other on the color wheel. I almost overlooked this hard fact because, to me, the pair don’t read blue and orange, but in essence, that is exactly why they play so well together. In love with the idea of ‘neutrals’ creating the same energy as bold and contrasting colors, I sought out another variation of it when I cooked up this outfit color palette. It is entirely neutral by anyone’s definition and yet there is an energy that’s created because (when simplified) it utilizes two other contrasting colors on the color wheel: green and red. Or, in this case, olive and blush. Wild, right?! This color palette is an excellent example of how utilizing muted shades of contrasting colors and then adding a third color that sits right next to one of the already used contrasting colors on the color wheel to the mix works beautifully. Allow me to clarify: in this case, I’ve used denim and rust as the contrasting base colors of the color palette — or in essence: blue and orange. By adding a third color to the palette that sits next to either blue or orange on the color wheel I am able to achieve a more analogous and harmonious color scheme. In this case I’ve chosen to use red which sits immediately next to orange on the color wheel — or rather I’ve chosen a shade of red more commonly referred to as blush. Again, pretty wild right?! All white? All right! This particular color palette — white paired with warm neutrals — has absolutely stood the test of time for me. It feels fresh but also familiar enough to remain well within my comfort zone. It is without a doubt one of my favorite methods for playing up texture within any given look and allowing the layers of texture to be the focus. 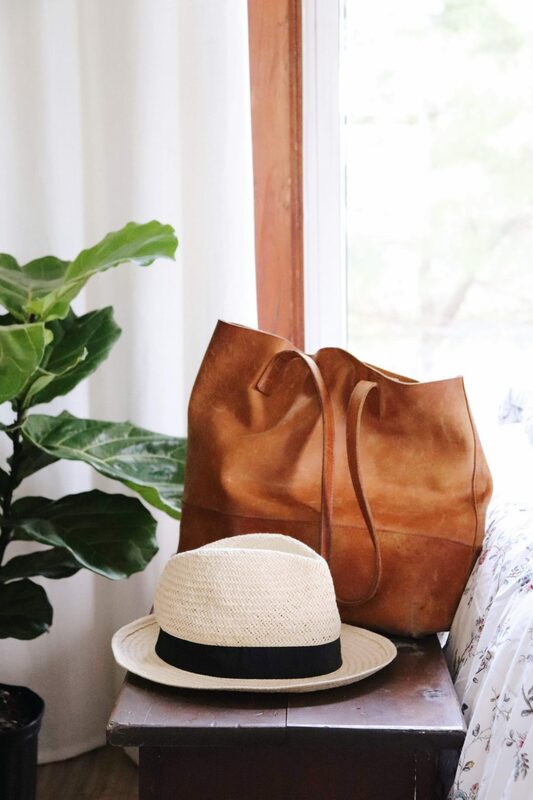 Linen, leather, cotton, straw. *Happy sigh* Any other (huge) texture fans out there?? Over the last year or so I’ve distinctly noticed myself phasing out black pieces from my closet — they just don’t get much wear. Maybe it’s because my coloring is considered a ‘deep autumn’? Maybe it’s because my hair is so dark and with a pretty fair skin tone it just feels more harsh than I’d like? Maybe I have too much dog hair in my life and it just seems really impractical? All I know is that when I do find myself drawn to black pieces they are along the lines of: a faded black denim, a black patterned top or dress, or they are pieces where texture is at the forefront. And even then, I really only find myself pairing these pieces with other warm neutrals: rich browns, tans or golds. I think I’m drawn to this palette because of it’s understated and simple nature. Earthy, grounded and highly approachable. Why do you think this particular palette works? The Summer 10 x 10 Challenge (#summer10x10) starts July 27th! Never heard of it? 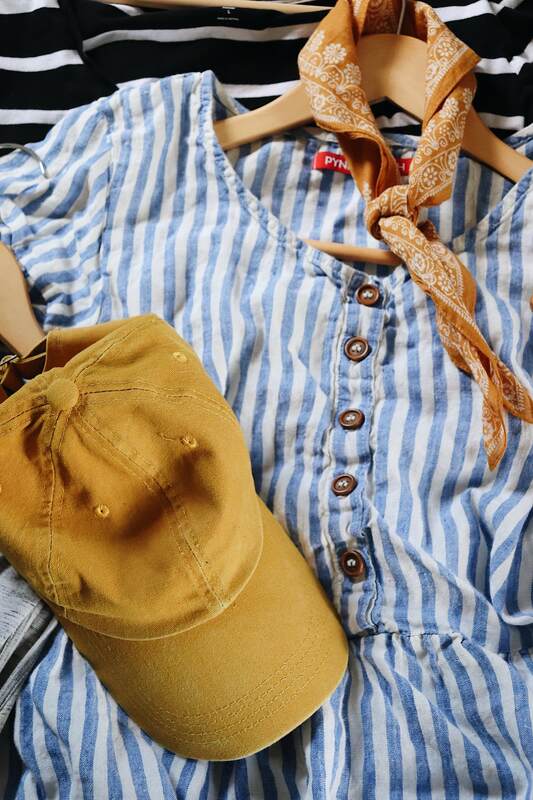 The concept is essentially a micro capsule closet of 10 items that you work with for 10 days, trying new looks and styling your clothes in ways you might not otherwise try. Lee Vosburgh from Stylebee (the original creator of the 10 x10) will be co-hosting this 10 x 10 Challenge alongside Caroline Rector from Un-Fancy. I’m excited and bummed all at the same time because I love the spirit and heart of this challenge, but the timing just isn’t right. The 10 days of the challenge are, quite literally, the 10 days leading up to my due date! Gah! So I supposed I will be sitting out this round, but will be cheering on any of you who might be joining in — who’s doing it?! 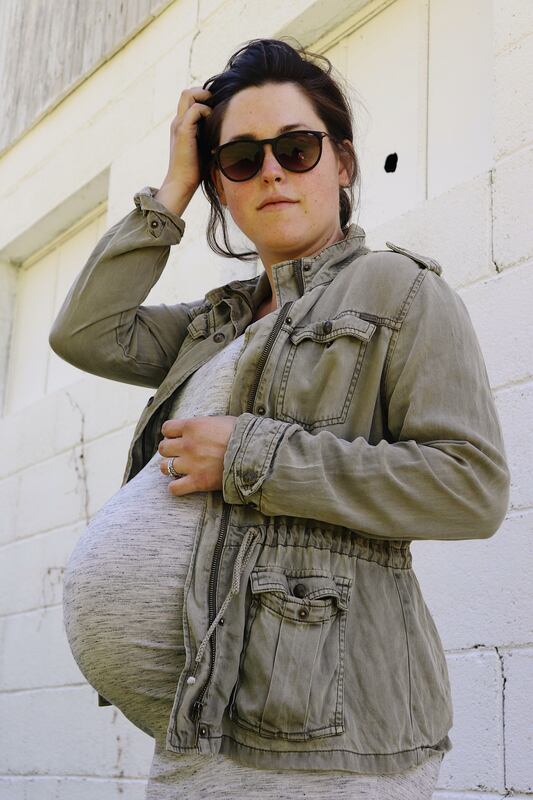 What are your thoughts on utilizing a maternity capsule wardrobe? 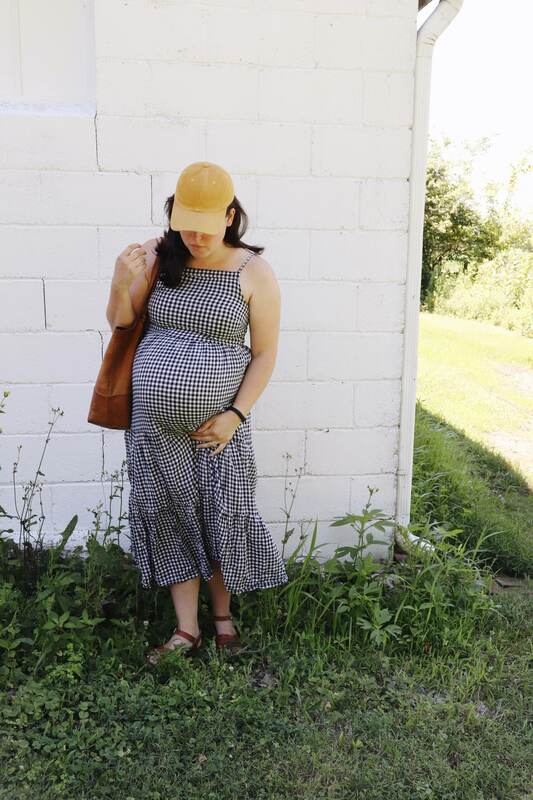 For those of you who are in pursuit of ‘responsible/sustainable fashion’ what limitations have you found there to be in the realm of maternity wear? Have you experimented with defining color palettes within your wardrobe? What have some of your successes looked like? Share away in the comments! Wow this maternity capsule is stunning!!! 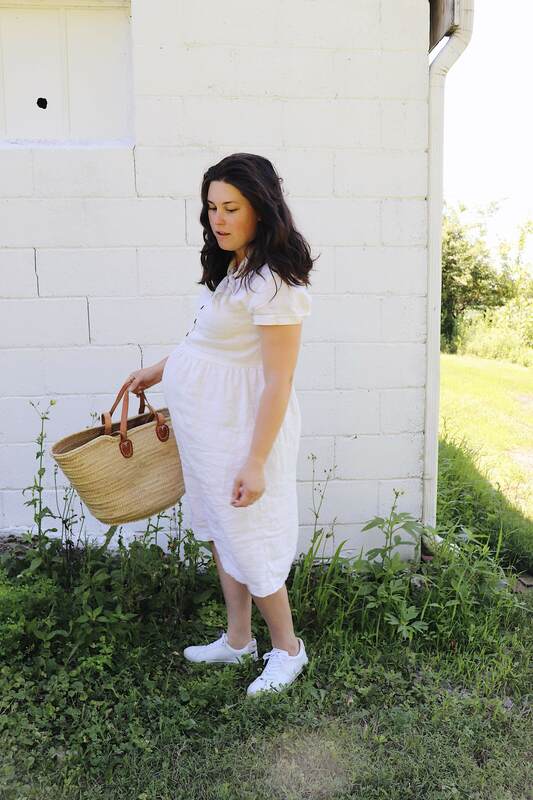 I was pregnant for the first time last summer (due last day of August) and did my own mini 16 piece maternity capsule. Love all the color palettes! Definitely saving this for next pregnancy as a referral guide! Thank you for creating something that’s affoedable, wearable and actually suited for summer time! Take care, and good luck with your delivery! Xo! I just found your blog after following a link from Seasons and Salt. I love this post! I’m not pregnant (but hope to be by the end of the year) and I’ve been very interested lately in the capsule/slow fashion/minimalist wardrobe movement. This blog sort of encapsulates what I want/plan to do when I do eventually get to this stage in my life. So glad I found your blog and good luck with the babe! 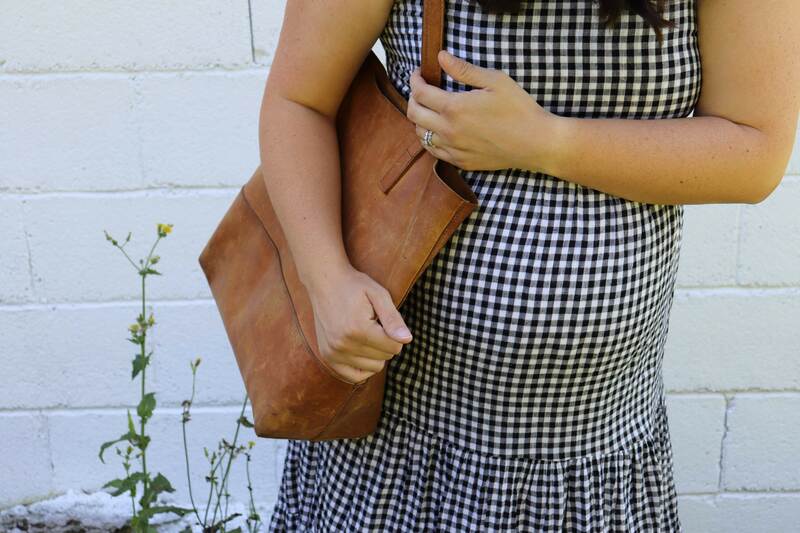 I am loving your maternity capsule every time I see your instagram! Those dresses are just magic. 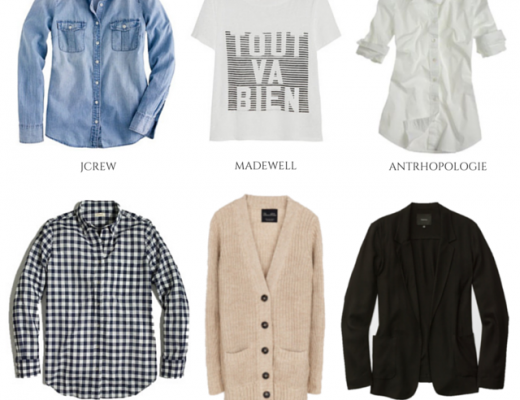 I haven’t really utilized a true “capsule” wardrobe since my first baby, 2.5 years ago. But the principles definitely helped me deal with both a pregnancy and postpartum wardrobe, that were by nature minimal and temporary! 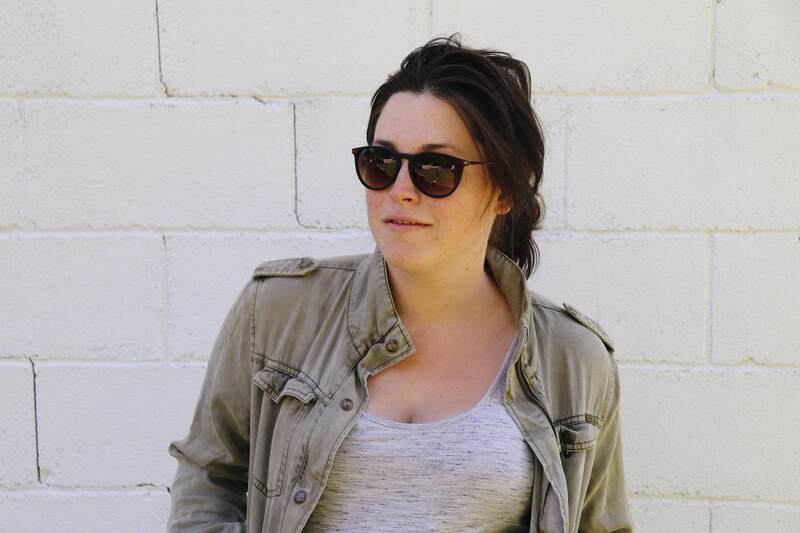 I am feeling the need to get back into a capsule wardrobe now though after my second baby as I am struggling with my closet right now and know that minimizing it down to only the things that fit, that I love, and maybe a couple new inspiration pieces will give me a boost to feel good in my clothes again. Probably will be Fall though :) I’ve never done a 10×10 but maybe I should try it with the few summer pieces that are speaking to me right now!